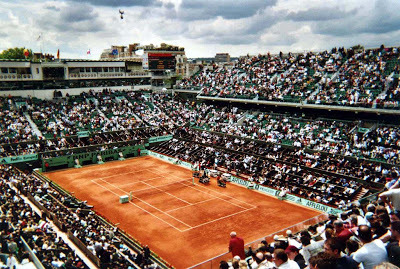 The 2018 French Open Grand Slam tennis tournament for men players on the ATP circuit is taking place this month from May 27 to June 10, 2018, on the clay courts at the Stade Roland Garros located in Paris, France. Here is a list of the prize money up for grabs for the men tennis players at the 2018 French Open. The 2018 French Open is one of the four Grand Slam tennis tournaments on the ATP circuit which means it easily has one of the highest prize money funds in tennis in 2018. Actual prize money up for grabs at the 2018 French Open is a whopping $45.7 million. The highest ranked men playing in the 2018 French Open are Rafael Nadal from Spain, Novak Djokovic from Serbia, Stan Wawrinka from Switzerland and Alexander Zverev from Germany. After the prize money from each round the percentage increase from last year is also shown in parenthesis. While the percentage increases are quite large compared to last year part of the increases are due to the gain in the Euro vs the dollar from this time last year. The following shows the payouts for the qualifying rounds at the 2018 French Open. The money shown is for the losers in each qualifying round. Players who win all three qualifying rounds move into the main draw and are guaranteed at least first round money there as shown right above.